A former British prison that is now a shrine to the political dissidents it once jailed, Cellular Jail National Memorial is worth visiting to understand the important space the Andamans occupy in India’s national memory. Built over a period of 18 years in 1890, the original seven wings contained 698 cells radiating from a central tower. 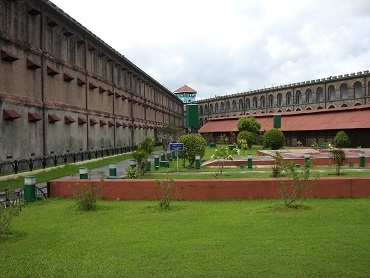 Like many political prisons, Cellular Jail became something of a university for freedom fighters, who exchanged books, ideas and debates despite walls and wardens. 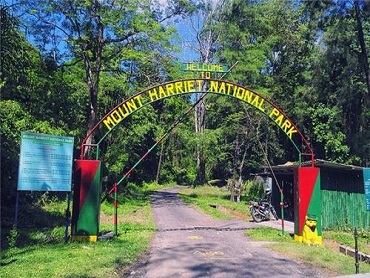 Once the summer headquarters of the Chief Commissioner during the bygone the British era, and the highest point in Port Blair is an ideal trekking place. A short distance by ferry boat and about 55 km from Port Blair via road, Mount Harriet has a Forest Guest House with lovely eco-friendly huts at a height of about 365 m from sea level. Island crafts such as fine wood carvings, shell jewellery, bamboo and cane furniture, are available from a handful of emporiums and speciality shops.Most of the shells on sale are collected legally-a good emporium can show proof of this - but, as always, be aware of your home countries' restrictions on importing them. The best museum in Port Blair provides a thorough and sympathetic portrait of the islands’ indigenous tribal communities. The glass display cases may be old school, but they don’t feel anywhere near as ancient as the simple geometric patterns etched into a Jarawa chest guard, a skull left in a Sentinelese lean-to or the totemic spirits represented by Nicobarese shamanic sculptures. Pick up a pamphlet (Rs20) on indigenous culture, written by local anthropologists, in the gift shop. Havelock is one of the most important tourism destinations of the Union Territory of Andaman &Nicobar. It is one of the few islands that is inhabited, although most of it is a natural paradise, repletewith white sand beaches, coral reefs with a colourful array of aquatic life, palm trees, as well as denseforests in the interiors Radha Nagar Havelock has been voted Best Beach of Asia, by Time Magazinebeach and best beach in India declared. The erstwhile administrative headquarters of the British was situated here in early 20th century. Manicured lawns that led up to clubhouses, swimming pools, granaries, officers messes, tennis courts and a majestic church lie in ruins, reclaimed by nature after an earthquake in June 1941. Deer and peacock call this home. A small museum opens doors to the by gone era. The island is small and waits to get walked the history. Lots of Deers and peacocks are adding the natural enhance to visitors. Known as the ‘vegetable bowl’ of Andaman Islands for its quality and quantity of agricultural produce, Neil Island is a small settlement 36kms from Port Blair and takes around 2 hours by sea. It also has a decent cattle population and is known for milk production, most of which gets transported to the capital city. The best beaches to visit on Neil Island are – Bharatpur, Sitapur & Lakshmanpur. 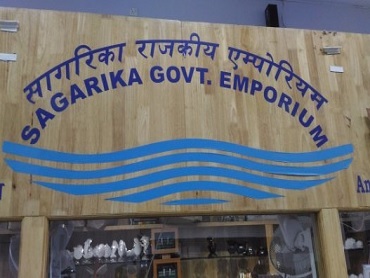 Among them, Sitapur is considered to be the best. Neil Island is being considered as another ‘Havelock in the making’. But we really leave it up to you to decide.It has a small village life with most people occupied with Agriculture or tourism activities. Neil Island is yet another place which is considered ideal for eco-tourism owing to the lush green paddy fields, banana plantations and tropical trees. Baratang holds the nature’s best treasures gifted to the Islands i.e. Limestone caves, Active Mud Volcano, the mangrove eco system, Parrot Island is a rare attraction for bird lovers. Baratang island is connected by ATR Road (Andaman Trunk Road) The Road journey from Port Blair to Baratang through a dense rainforest is a eco-adventure trip for tourist. Chidiya Tapu is the southernmost tip of South Andaman. As its name this is favorite destination for bird watchers. Its lush green mangroves, forest cover with numerous chirping birds and the white Sands beach make it an ideal picnic site. A very beautiful beach named Munda Pahad near by is very famous amongst the local people. ChidiyaTapu biological Zoo : it offer a view to the species like salt water crocodiles ,snakes, pythons, eagles and other endangered species a natural look in the natural environment.